Sometimes you just feel like you need to make notes when coding. Especially if you’re learning web development for the first time. And once your .html and .css get larger and larger, sometimes you just need to explain what you’re doing within your code. Thankfully, this is doable in both HTML and CSS with comments. So, in terms of the page displayed in a browser, this text won’t appear to the user. However as most browsers have a View Source function, people could see what you have written. More on that in a bit. But always type the opening and closing tags before putting the text between them. If you leave a comment open and don’t close it, all the page below it will remain hidden! Why Else Might You Use Comments? This applies to anything. You might have a big announcement for tomorrow but want to do the hard work today. Put your announcement between HTML Comments today – and remove them tomorrow. Simple as! If you share your web project with other people, or maybe you start the project and need to pass it to someone else, then comments can be very useful. You can use comments to explain your thoughts and ideas to other people. Very handy and saves you having to remember everything! If your CSS file is getting long, it can be helpful to break up your stylesheets into logical groupings: headers, general layout, sidebars, footers. Whatever structure makes sense to you, then run with that. 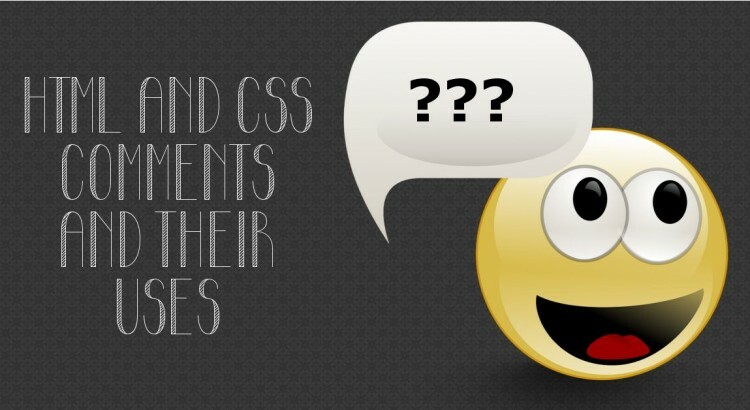 To help break up your section, you can use CSS Comments. As with HTML Comments, they are contained between two ‘tags’. They aren’t tags in the sense of HTML <tags> but it is important to notice that you need both parts. or inside your .css file. The same warning applies to CSS Comments as their HTML Counterparts – always close them! Pro Tip: if you don’t want other people to know the information, don’t place it in comments tags. Use them – a lot if you need to. Use them to help you make sense of your code. But please be careful what you put in the comments in case someone reads something you don’t want them to. And speaking of comments, if you want to leave any feel free to use the panel below!